The 1884 Collection is a fine jewelry brand that infuses Italian heritage with modern, stylistic designs. 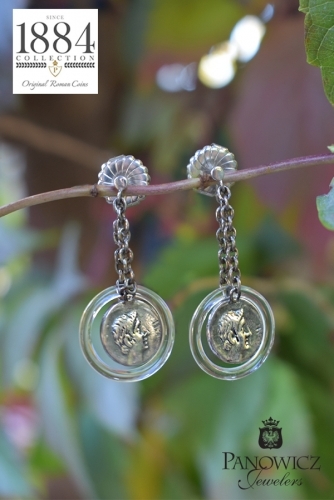 The jewelry collection features replica’s of ancient Roman coins. Register your new piece of 1884 Collection jewelry on their website with a “wish” and a representative will toss a coin with your wish into the Trevi Fountain in Italy. These earrings feature “Ottaviano” coin replicas that are surrounded by clear rock crystal frames that dangle from sterling silver chains.